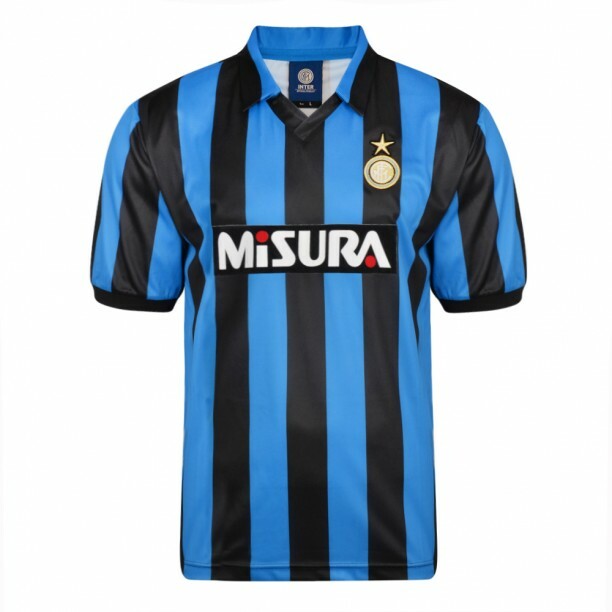 The Internazionale shirt sponsor from 1990 to 1991 was Misura. Inter home shirt worn by Riccardo Ferri during the match vs. Aston Villa played on the 7th November 1990 at stadium "Giuseppe Meazza" in Milan. The match was valid for the 16th Finals of UEFA Cup and Inter recovered qualification to next stage by winning 3-0 that match after defeat 2-0 in the game played in England.